not eligible for PIP payments. Sharon Jones from Goodrich was diagnosed with fibromyalgia towards the end of last year. She said she has been signed off work by her doctor, and also has blood clots on her lungs. 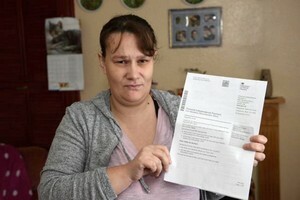 But she was re-assessed for Personal independence payment (PIP) in December and has been told by the Department for Work and Pensions that she is not entitled to it. Friend Linda Schofield said: "She was assessed through PIP. They are saying there is nothing wrong with her. But they haven't even contacted her doctors. "She has had no money whatsoever. "She is relying on her neighbours to help her and feed her and everything."